Are you looking for a reliable concreting contractor in Perth, Australia? Do not rush this decision! Read this guide before making your decision. Perth just happens to be one of the most diverse areas in Australia. It is full of diverse consumers and it has a diverse set of businesses. Competition is definitely a good thing. Competition means that you can usually get a better service at a better price. Of course, you must realize that it is your responsibility to find the right Perth concreting contractor that will give you both. If you do not do your research, you’ll make the wrong decision and you’ll probably wind up frustrated in the future. Within this guide, you will discover tips for selecting the right concreting contractor your unique project. You should know that there are numerous professional organisations throughout Australia and nearby New Zealand. There are several that represent concrete contractors. These organisations offer training for concreters and seminars. By working with a member of one or more of these organisations, you can guarantee that the contractor has done their due diligence to continue their education. Visit the websites for these groups. There, you should be able to find a page showing all of their members. It is in your best interest to choose a firm that is a member of at least one organisation. In Australia, it is usually vital for the contractor to have a valid license. Depending on their area of operation, they’ll either need a general concreting license or an individual contractor’s license. Remember that the license is usually a legal requirement. If the contractor does not have the valid license, they will probably not be able to serve you legally. With that being said, you should most definitely choose a contractor with a license. Make sure that the contractor is willing to show you their license. If they’re not, there is a possibility that they have something to hide. The Australian government has done a great deal to protect their residents from shady contractors. The Australian Competition & Consumer Commission is there to protect you from potential scams. By visiting the commission’s website, you will be able to find a wealth of information about protecting yourself when doing business with Australian businesses. You will also learn how to file a complaint against a company. It is a good idea to check out their website before selecting a contractor in Perth. Before calling one of the local contractors, it is pertinent to know exactly what you want to ask. If you’re not prepared, there is a good chance that you’ll get flustered and you may forget to ask something crucial. Make a list of important questions. How long has the contractor been in business? Are they licensed and accredited? Can they provide you with a quote and references? Compile your list in advance and then call. As with any home improvement project, it will be in your best interest to get bids from at least three Perth concrete contractors. By doing this you will be ensured to get the most out of your money and the right contractor. When choosing the contractors to request bids from you should select a variety of large and small businesses that offer this service. 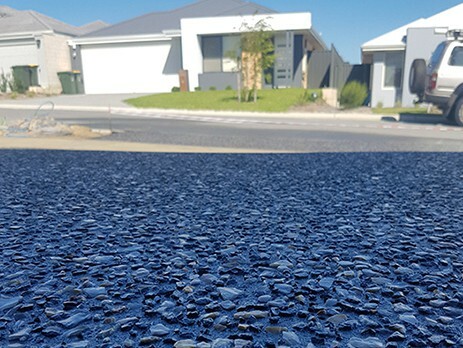 You can find an endless array of contractors that provide concrete installation in the Perth area through a search inquiry. Concrete installation requires a variety of materials that will be provided by the contractor at the consumer’s expense. However, it is not unusual for some contractors to jack up the price of these materials, just to ensure themselves they are getting a huge profit. To avoid these contractors, you should request cost estimates of materials from several different contractors. When you receive the estimates, you can then compare the prices to determine which contractor is offering you the best deal. It is important to note that the contractor offering the lowest price is not always the best answer. Some contractors will offer a lower price and mark up the cost on the labour. Another thing to remember is materials utilized in such a project will not have a large variance in price. So, it would be ridiculous to offer such a low price, since it could risk a financial loss. When it comes to choosing a concrete contractor in the Perth area there is absolutely nothing more important than experience and expertise. With just a little bit of research you will quickly discover that there are a variety of environmental factors and other variables that can cause a concrete job to go from good to bad. A contractor with the right amount of experience and expertise will know exactly how to combat and battle these conditions. Most of the time you can just ask the contractor how long he or she has been in the business or you can visit their website to acquire this information. Most experienced contractors will be proud to tell you the number of years that they have been in business, because it is an excellent selling point. It can be extremely hard to please every customer out there, but for the most part contractors should be able to make at least 95% of their customers happy. When seeking out the perfect contractor you should only work with individuals that have an outstanding reputation. Most of the time you can find out about the contractor’s reputation by visiting online review sites or speaking with past customers. When seeking out contractors never shy away from asking them for references of previous customers or pictures of previous jobs they have completed. This is an excellent way to gauge how the contractor conducts himself or herself on the jobsite and the type of work that they do. Any professional contractor should seal his or her work with a contract. This contract should state the type of work that is going to be done, where the work is going to be conducted, a price of the materials, and a total price for the whole job. In fact, these contracts not only protect you, but they protect the contractor as well. So, any contractor that doesn’t take advantage of contracts might be up to no good. Working with an out-of-state contractor is always frowned upon. The reason for this is because it can be extremely hard to track them back down in the event that they need to come back and correct something. Or, if an emergency rises, they won’t be able to arrive at the jobsite immediately, which might result in major permanent damage. In addition to this, most contractors located and working in the Perth area depend on word or mouth recommendations to build their business, so they will actually put their best foot forward to make sure that you are happy. When it comes to concrete there can be a lot more to the process than just pouring it, smoothing it out, and letting it set. In fact, some concretes can be sealed, polished, and coloured with stains and dyes. You always want to make sure that the contractor specializes in whatever type of service that you are seeking. For instance, there are some contractors out there in the Perth area that only pour new slabs and foundations. Unfortunately, not all concrete contractors are capable of servicing all your needs. 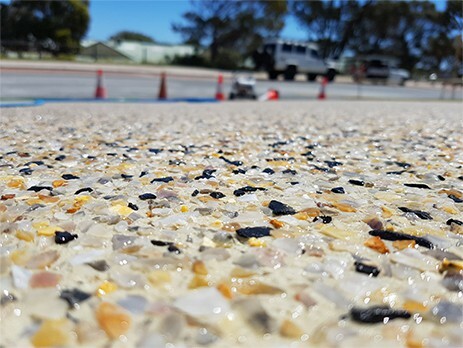 We’ve specialised and still continue to build our expertise in exposed aggregate, liquid limestone, and concrete application, maintenance, and removal. We offer a diverse range of products to choose from, each designed to suit our customers’ unique tastes and needs. We’ve dealt with different clients and businesses, from Perth homes to buildings, to office exteriors and finishing touches. Our specialists always leave our customers in awe and 100% satisfied with the professional advice we provide and the excellent quality service we deliver. Skyle Concreting built our credibility and reputation by providing one of the best concreting services in Perth.